Those who have a fear of heights – BEWARE! 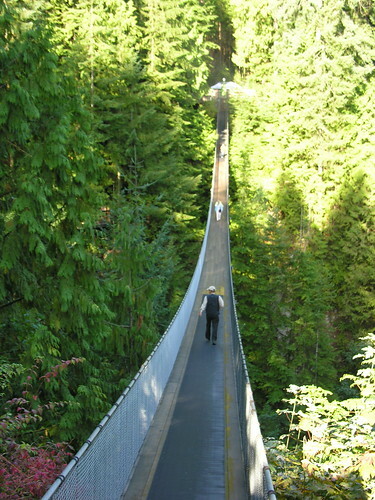 You will not want to go over the Capilano Suspension Bridge in North Vancouver. For the rest of the population, the Capilano Suspension Bridge is a fascinating diversion that gives you a rare vantage point high above the river and forest. 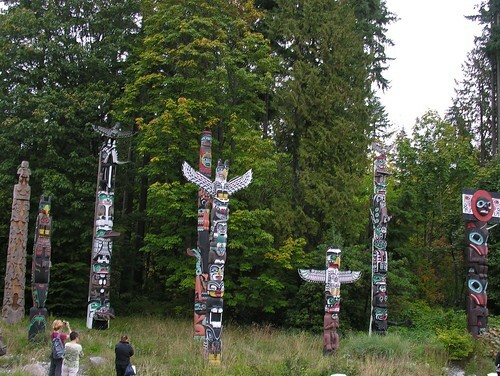 When you enter the park (admission charge – about $30 Canadian per person for adults), you briefly see some totem poles, snack locations and a store, but the real reason you came is waiting for you. Step down from a platform area onto the suspension bridge and you will feel a swaying. Look down the 200-plus feet to the water below and you will have a sense of just how high up you are. When the people of Vancouver British Columbia established Stanley Park in 1888, they created more than just a park. 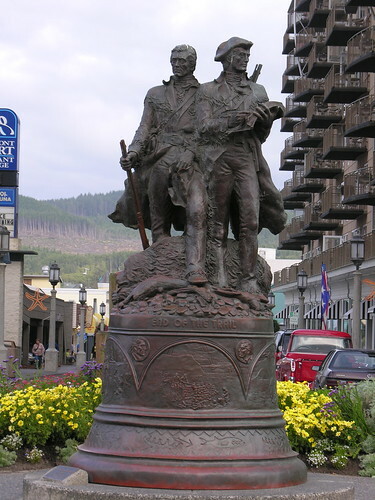 They provided a place for their citizens – and visitors – to enjoy the country right in their own city. 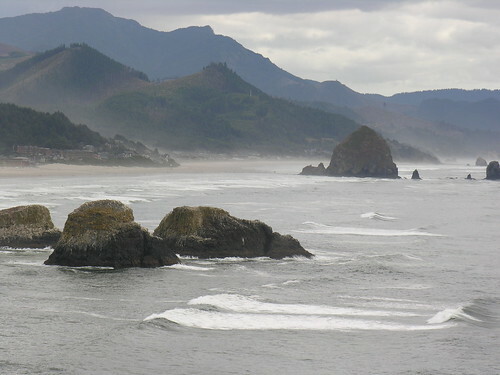 Think of Scottsdale on the ocean, less heat and no malls — You’ve got Cannon Beach on Oregon’s Pacific Coast. 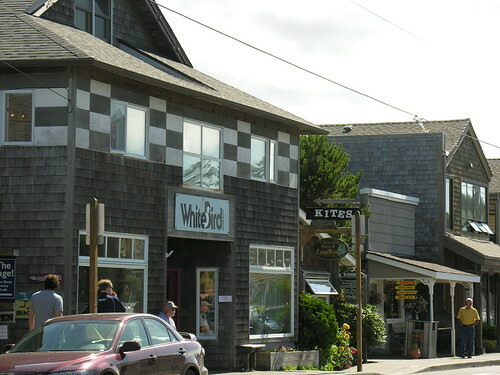 An upscale beach community, Cannon Beach was the second resort town on Oregon’s coast. (Seaside was the first.) Art galleries, boutique shops, unique toy stores, candy makers and specialty restaurants abound. 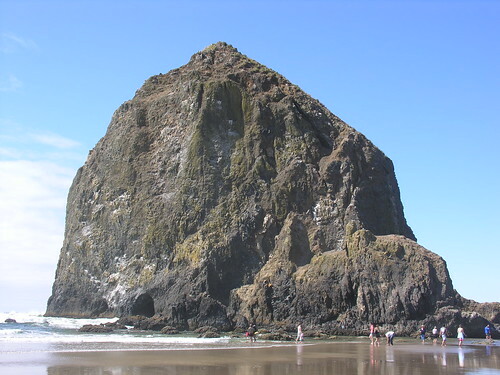 Jutting out of the Pacific Ocean on the beach at Cannon Beach, Oregon is the monolith called Haystack Rock. Like a magnet, it attracts birds, humans and the sea creatures that use it for shelter. We all have to eat. That’s a basic need, but we don’t always eat the best food. 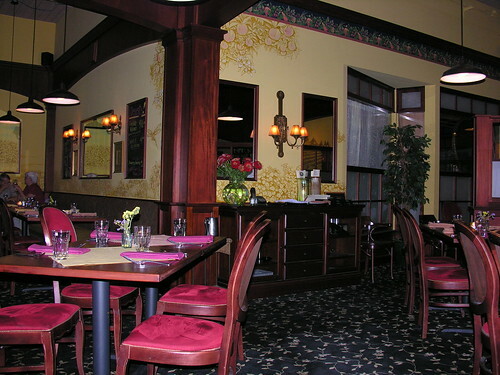 In Eugene, Oregon, anyone who eats at Adam’s Sustainable Table in the downtown area can truly say they have had a choice of some of the best food available. Our travels in Oregon took us on two windy roads that would be a challenge for anyone – even an Indy 500 racer!